BEIJING — China on Wednesday protested the sailing of a U.S. Navy ship near its territorial claims in the South China Sea, saying it would continue to take measures to protect Beijing’s interests in the vital waterway claimed by several nations. 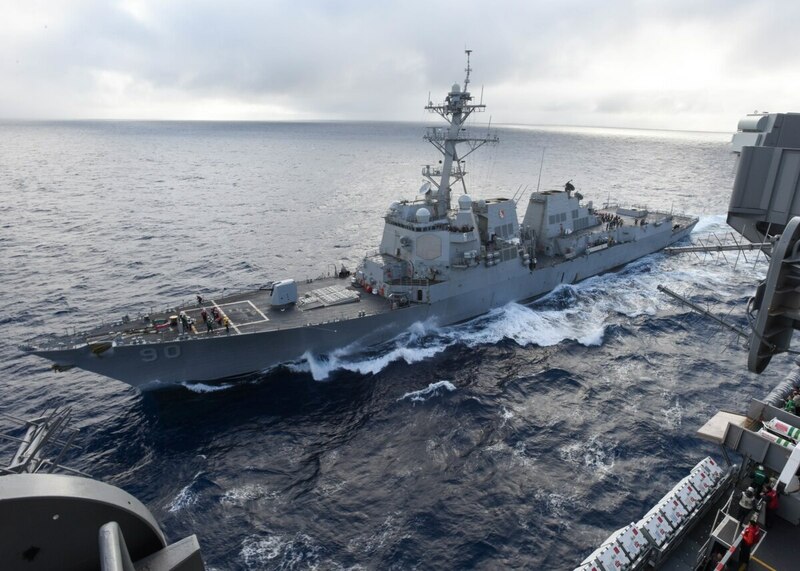 A U.S. official said the destroyer USS Chafee sailed near the Paracel Islands on Tuesday, coming within 16 nautical miles (30 kilometers) of land. The Navy does not announce such missions in advance and the official spoke on condition of anonymity. Chinese foreign ministry spokeswoman Hua Chunying denounced the mission as dangerous and a violation of China’s sovereignty. She said the military verified the presence of the U.S. ship by sea and air and warned it off. “The Chinese government will continue to take firm measures to safeguard national territory, sovereignty and maritime interests,” Hua told reporters at a daily briefing. China claims the South China Sea and its islands virtually in their entirety, and its military expelled Vietnamese forces from the Paracels in 1974. The U.S. does not take an official position on sovereignty claims, but the Navy regularly sails through the area to assert freedom of navigation. China usually claims to have “expelled” Navy ships on such missions and its relatively mild response this time suggested the Chafee had not entered what it claims are its territorial waters. The South China Sea has crucial shipping lanes, rich fishing grounds and potential oil, gas and other mineral deposits. China has carried out extensive land reclamation work on many of the islands and reefs it claims, equipping some with air strips and military installations.